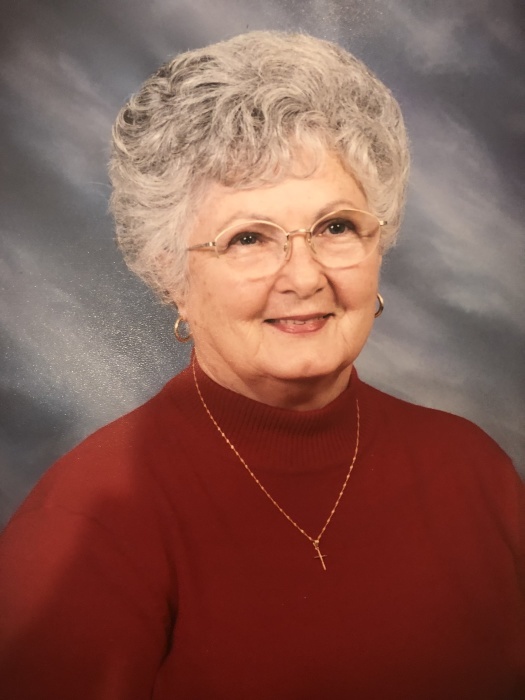 Betty (Fowler) Williams, 91, Vincennes, passed away Monday, September 10, 2018 at The Villages at Oakridge in Washington, IN. Betty was born June 26, 1927, in Vincennes, the daughter of Gerald and Aurella (Burton) Fowler. She married Lester Williams on December 11, 1999. She worked on the assembly line at Johnson Controls for over 28 years. She was a member of the St. Paul’s Lutheran Church, the VFW and the American Legion Women’s Auxiliary. Betty is survived by her son, Terry Len Shoulders of Sedona, AZ; brother, Richard Fowler of Washington; and sister, Lou Ann Fowler of Washington; and cousin Forrest Lee Burton of Loogootee. She was preceded in death by her parents; husband, Lester, on August 20, 2016; and sisters, Geraldine and Monagale Fowler. Graveside services will be held on Monday, September 17, 2018 at Memorial Park Cemetery at 10:00 AM with Steve Dickerson officiating. Fredrick and Son McClure-Utt Funeral Homes Vincennes Chapel, 313 Church St. assisted the family with arrangements. Online condolences may be made at www.fredrickandson.com.